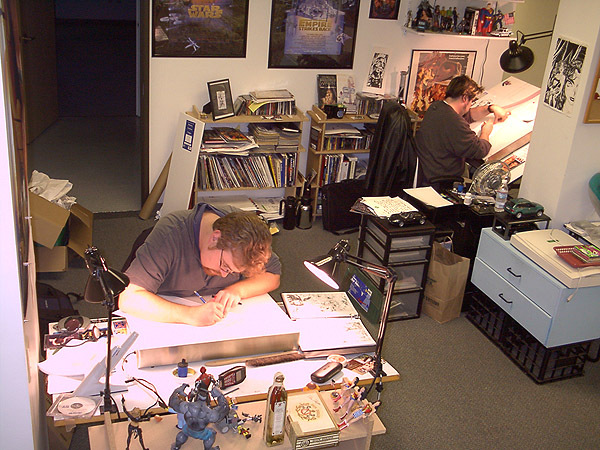 Right: Drew probably would’ve bought the Wonder Woman action figures even if he weren't working on the book... but since he is, they’re tax-deductible! Bonus!! You can buy Drew's original art HERE. Questions, comments, commissions? Contact the MERCURY webdude. Above: Titans of graphite. 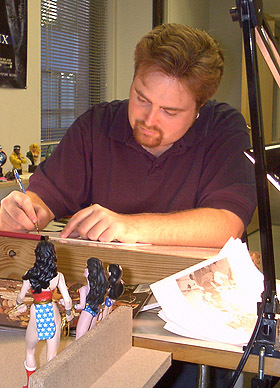 Drew Johnson works on Wonder Woman while Matthew Clark works on Superman. 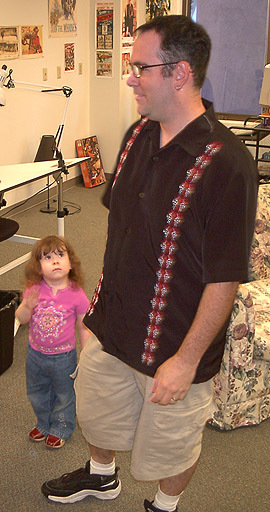 Left: Pete Woods brings in avant-garde artist Celeste to help with his Batman project. Below: Rebecca Woods, Celeste's mom.